Imagine a future in which people who eat meat, eggs, and dairy are hunted down and prosecuted by the U.S. Department of Justice. That is the vision of a new and hyper-aggressive animal rights organization. Meet Direct Action Everywhere (DxE), the new radical animal rights organization causing havoc and attracting a growing collection of people who lie at the confrontational intersection of veganism and authoritarianism. Its spiritual predecessor is the Animal Liberation Front—except when DxE activists commit “direct action,” they don’t wear ski masks. “Direct action” is not a new term—it can be dated back a century ago where it originated and has since proliferated largely among anarchist and socialist groups. Those who use direct action try to inflict harm—sometimes economic, sometimes physical or emotional in order to cause a “direct” change, rather than going through established channels and rationally appealing to others. DxE is based in the Bay Area and has gained an increasing amount of notoriety through tactics such as shrieking at restaurant customers, tasteless displays where activists cover themselves in feces, breaking into farms to steal animals, getting arrested, and hosting rallies—DxE even plans to have their operatives elected to public office. The zealotry at the organization is gaining attention—and money. In 2016, DxE received $435,420 in contributions, whereas donations in the previous year were slightly over $100,000. The donors are shrouded in secrecy, and other than some paltry funds from The PIMCO Foundation and a matching Yelp contribution, the vast majority of the money comes from unknown sources. Funding to DxE is funneled through the organization “Friends of Direct Action Everywhere,” a tax-exempt public charity—apparently the IRS hasn’t caught wind of this group’s illegal activities yet. DxE was founded in 2013 by its current leader Wayne Hsiung, a Chinese-American with a background in law—and a likely future in prison. In fact, he’s already been arrested for trespassing, stealing a goat, and for a number of other deeds; Hsiung faces felony charges, as do other DxE operatives for a number of cross-country criminal actions. Hsiung’s background is as a corporate lawyer where he worked on consumer fraud class actions and managed an animal law practice. While in school, he co-authored a paper on climate change and animals along with Harvard’s Cass Sunstein, who was an Obama-era appointee. These days, Hsiung has experienced courtroom proceedings in a new role: Defendant. The DxE group started small and its breakout event occurred in January 2013, when a handful of activists protested inside a grocery store, recited a cringe-worthy poem, and stood robotically still holding signs while Hsiung rambled on despite being asked to leave by employees and customers. In 2014, DxE received media attention after activist Kelly Atlas caused a scene in a restaurant when she went on a diatribe and claimed the patrons were complicit in the suffering of a “little girl” named Snow. Snow was a chicken. Some of the diners laughed as Atlas grew more and more emotional before she finally left the diners to resume their meals in peace. At this point, DxE was learning about the effectiveness of viral videos for spreading their cause—however, their outreach was more to rally radical animal rights activists and grow their footprint in the movement, rather than to convince newcomers. As the organization grew, DxE members began protesting places such as Chipotle and Whole Foods, claiming the stores were not humane. The activists started lying down inside the stores to participate in so-called “die-ins.” Soon enough, this spread to cities outside the Bay Area and, by the end of 2014, DxE was fully international, with activists around the globe. While the video was disputed on multiple fronts—whether it was indicative of the farm’s operation or even if it showed anything unusual about conventionally-raised chickens at all—the footage sparked a series of DxE protests at Whole Foods, which lasted throughout 2015. Near the end of 2015, DxE, along with a number of other organizations began backing a “Liberation Pledge,” asking the pledge-takers to go vegan, refuse to sit where other people are eating meat, and to encourage others to take the pledge, which could prove isolating if strictly adhered to. By 2016, DxE was railing against Costco, Safeway, and the LA Dodgers, protesting the farm their eggs and hot dogs originated from. The protests followed a farm break-in where activists recorded video footage. Since the activists introduced a contamination risk into the farm, the farm was forced to kill the birds inside. In 2017, DxE’s practice of “open rescue,” where activists (without concealing their identity) steal animals from farms, began expanding outside of the Bay Area. A theft of piglets in Utah sparked an FBI manhunt. Later, DxE operatives stole chickens that were handed to them by an 8 year old farmer’s daughter after the activists asked to hold the birds. The local sheriff’s office subsequently launched an investigation of felony allegations. When six DxE operatives trespassed on a turkey farm in 2018 and stole some birds, they were slapped with felony theft charges. In June 2018, DxE leader Wayne Hsiung was arrested in North Carolina for allegedly stealing a baby goat from a farm. Hsiung is now facing at least nine felony charges. A radical organization attracts radical types. Wayne Hsiung and his followers have a history of being caught up in legal trouble, not least because they are desperate for public attention and arrests work as a sort of media stunt. In 2016, police in Asheville, North Carolina claimed that, in response to threats made against officers, they monitored radical groups including DxE. Hsiung and a young woman were arrested in 2018 after being suspected of trespassing in a store. The young woman has previously been arrested and charged with a felony after ruining $1,000 worth of meat at a grocery store. After activists stole some pigs from a farm, a multi-state FBI manhunt took place searching for the stolen animals. One of the largest series of DxE arrests were due to a single incident when hundreds of operatives swarmed a farm in California in order to “free” the animals. Despite negotiation attempts carried out by police, it appeared 40 activists were dead set on being placed in handcuffs. Following a theft of turkeys in Utah, Hsiung and five of his activists were arrested and charged with felonies. One of the more significant media highlights for Hsiung was when he kidnapped a pair of goats from a farm in North Carolina—an action for which he now faces up to 39 months in prison due to felony allegations. The accounts in this section are not exhaustive of all the arrests and legal trouble DxE has been involved with since its conception. Notably, DxE’s tactics have involved public displays at events where public figures are speaking, especially in, but not limited to, the 2016 presidential election. After New Jersey Governor Chris Christie rejected a DxE activist’s questions, the activist jumped onto the stage and displayed a DxE banner. The same activist who questioned Christie also interrupted Ohio Governor John Kasich, former Hewlett Packard CEO Carly Fiorina, and Bill Clinton on the campaign trail, in order to secure a platform for the animal rights message. Not restricted to American figures, DxE activists also protested and were dragged off the stage after unveiling a “MEAT IS VIOLENCE” banner at an event where the Dalai Lama was speaking in Colorado. On its site, DxE has an “Animal Liberation Roadmap” infographic containing the organization’s milestones from 2020 – 2055 available for the public to view. Buried deeper in the site is a document outlining the roadmap in more detail, fleshing out the objectives and the organization’s goals. By 2030, the goals become more ambitious than taking over a college town. DxE aims to have former Heads of State endorse their vegan agenda and to support actions such as stealing animals from farms. Specifically named are the Clintons, Obamas, Trudeau, Merkel, Cameron, Modi, and the Pope. Supposedly, this will help DxE see at least one state which bans the sale or production of animal-derived products. This fantasy world envisions progressive politicians and the media as supporting DxE’s radical tactics. Fantasy quickly turns into authoritarian fever dream when DxE spells out their desire for the creation of a “strong enforcement agency” to implement and enforce legislation extending human rights to animals. By this point, DxE is aiming for an international network of seed cities. Their targets include West Hollywood, Portland, Seattle, New York City, Boulder, Evanston, Minneapolis, Washington, DC, Vancouver, Toronto, Stockholm, Berlin, Lausanne, Tel Aviv, Mumbai, Taipei, Shanghai, Beijing, and Kyoto. As 2045 rolls around, the roadmap hopes for at least one national government to provide funding for sanctuaries as a form of “reparations.” Again, this is one more example of DxE’s wish to use state power to further their agenda. Comically, it’s not until 2045 that DxE wants conservatives on their side. A note in their detailed document reads, “identify key ‘defectors’ within the conservative movement and turn them towards animal rights.” By only targeting roughly half the population and alienating the rest, it’s no wonder why DxE wants government authority and enforcement on their side. DxE is not a PETA or Animal Liberation Front copycat organization. Part of what makes the organization appealing to millennial animal rights activists includes their fresh—and radical—approach to issues their animal rights comrades have been discussing for decades. Despite this, the organizations do have close ties and have supported each others’ work. One notable instance is the San Francisco fur ban which was proposed to the city supervisor by members of DxE and—after it was enacted—the same city supervisor gleefully received an award from PETA. One of the key ways DxE is different from PETA is in the messaging they use. DxE will not usually use graphic images in their protests. This is done in an effort to make their message more palatable rather than having people automatically look away. One of DxE’s signature moves is protesting inside stores, rather than outside on the street. The members are urged to not only refuse to dine in a place where meat is served but to break into farms and steal animals. DxE calls this “open rescue,” where activists trespass and steal animals without wearing ski masks like Animal Liberation Front does. One particularly unique DxE demonstration involved an activist, Cassie King, covering herself in feces to protest the eggs at Trader Joes. Long-term tactics include passing animal rights legislation and establishing a center for the animal rights movement, with DxE heavily focusing on Berkeley, though retaining operatives around the world. The claim that other animal rights groups are misguided—only DxE is enlightened—and the messaging condemning fellow vegans as guilty and as part of the problem may seem like a powerful tool for psychological manipulation—reminiscent of cults that break vulnerable people down in order to reshape them. Imagine your name on a spreadsheet with detailed info about who from DxE you met, what you did, how it went, and with a list of every event you attend. Imagine being in competition with others for the most DxE events you attend. Without realizing it, you are simultaneously being monitored and funneled toward a certain kind of activism with just one group. Adams, an influential figure in the animal rights movement, refuses to speak at any event DxE is invited to. For a young organization, DxE has a surprising amount of former members—people who are vocal in their criticisms of the organization’s shortcomings. 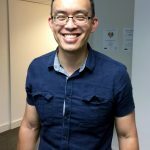 When taking part in a protest, Wayne Hsiung stayed in the home of infamous anti-semitic professor Kevin Macdonald and has even defended Macdonald, who is popular with the alt-right and white supremacists. In early 2016, DxE chapters in Tucson and Portland announced the dismantlement of their local chapters due to alleged racism within DxE. [DxE] has a horrendous history of racist, sexist, and homophobic behavior, in addition to harboring sexual predators and tokenizing People of Color. Not to mention, the group has a flawed and inept accountability process which leaves victims feeling manipulated, dismissed, or attacked. Wayne also shared with me and a few other men his own personal history of sexual harassment of women when he was in graduate school. I suspect he shared this little known fact about him to help normalize the mistreatment of women in DxE among DxE men. Wayne’s response made me understand that fighting oppression isn’t important to DxE. They are only interested in getting a bigger (activist) body count and publicity for Wayne. led to a confessed sexual abuser remaining in a leadership position in DxE, without ever having satisfactorily completed a resolution process with their victim. The victim was pressured into accepting apologies, and into staying silent about their concerns, which has resulted in further victimization of additional individuals. DxE is an unsafe place for women in this regard. DxE claims to care about animals. But what about humans?